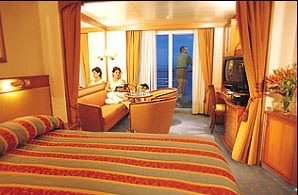 Only one cabin per passenger, except that interline personnel traveling with a spouse and dependent children may request an additional stateroom that will be confirmed at Regent’s sole discretion. Regent requires proof of Interline Rate Eligibility immediately upon confirmation of your booking. Without proof of qualified interline eligibility, Regent reserves the right to automatically adjust the price to the applicable retail rate prior to departure. 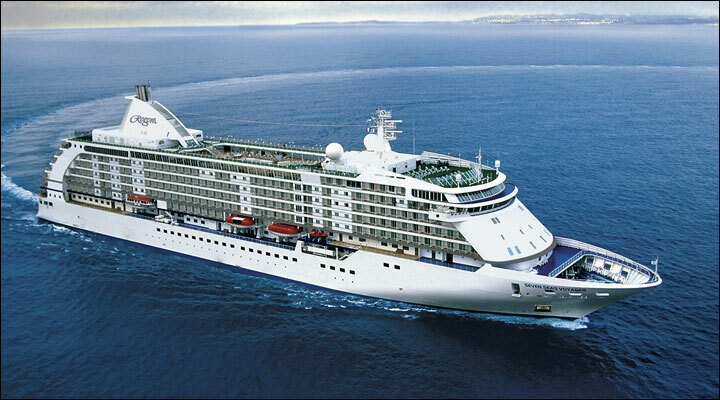 Seven Seas Navigator has few equals, as all accommodations are suites with ocean views, most with private, furnished balconies. Guests who sail in one of her 245 suites enjoy an exceptional level of service by a warm and friendly crew at an extraordinary ratio of 1 to 1.42. Among her three dining options that allow you to savor meals whenever and with whomever, Seven Seas Navigator features the authentic Italian restaurant Sette Mari at La Veranda and the largest specialty restaurant at sea Compass Rose with its brand new menu. 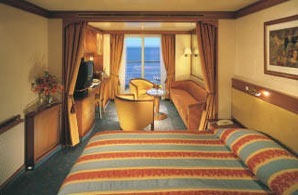 As with all Regent Seven Seas Cruises, even the most sought-after amenities are included. This means free unlimited beverages including fine wines and premium spirits, free Wifi, and free unlimited shore excursions. Shore excursions are the heart of every destination, allowing you to experience the history, culture and cuisine of the exciting ports of call visited with knowledgeable local guides and comfortable transportation. And by offering unlimited shore excursions, you can take as many tours in a day and during your entire voyage as time and your penchant for adventure allows. Aboard Seven Seas Navigator, guests delight in a warm and friendly ambiance fueled by an extraordinary staff that hosts an array of onboard activities that enrich and entertain. Programming ranges from exquisite wine and artisan cheese tastings to insightful lectures and discussions through The Smithsonian Collection by Smithsonian Journeys available on the majority of itineraries. And across all of the ships, guests can choose to be pampered in the onboard Canyon Ranch SpaClub® or in the heated shimmering waters of the sun-kissed resort pool.